Wood burning fireplaces are not only a good source of heat, they can also add a cozy ambience to any room. 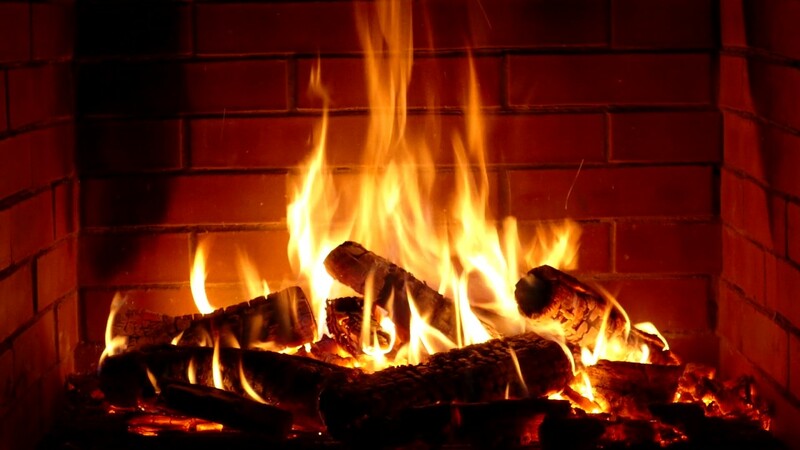 Having fires can be a relaxing experience, but chimney fires on the other hand are not. With a better understanding of your chimney system and how it works combined with routine maintenance, you can safely enjoy fires for years to come. Let’s start with the basics. For traditional masonry, your system typically consists of a chimney, cap, crown, flue liner, smoke chamber, damper, and firebox. Caps are made of metal and are installed to the top of your chimney. They keep out animals, debris, moisture, and possible embers that could come from a fire. Caps aren’t required but are highly recommended. A crown is a large slab of concrete that covers the top of the brick chimney. If installed correctly, they should have an overhanging drip edge that will allow precipitation and moisture to shed away from the chimney instead of penetrating the bricks and allowing water to enter the home. Flue liners come in all different shapes, sizes, and lengths. The most common flue liners are clay flue tiles. They are installed every 2 feet and are held together with a non-water soluble refractory type mortar. During a fire, these tiles and the mortar expand with the high temperatures and contract back to size when the fire is put out. Without routine maintenance, these mortar joints can deteriorate due to how corrosive creosote is or from the result of a chimney fire. The missing joints can also allow combustion gases and heat to escape and could potentially get back into the home. Stainless steel liners are often used when the clay tiles are damaged. Depending upon how damaged they are and the size of the flue itself, sometimes technicians can install the liner without having to break out the clay tiles. Some reasons technicians would need to remove tiles are so that the liner will fit properly, there may be hidden creosote in the system that could cause a chimney fire, or the tiles themselves could be unstable. A chimney should always be lined, whether it is lined with the clay flue tile liners or a stainless-steel liner. A smoke chamber is the area above the firebox (where you see the fire) and below the flue opening. It is used to allow smoke to mix and rise into the flue and escape through the top of your chimney. The International Residential Code (IRC) book states that when the inside surface of the smoke chamber is formed by corbeled masonry, the inside shall be parged smooth. This allows the smoke to escape smoothly. A traditional damper is located just above the firebox and is meant to seal your fireplace shut between uses. It’s important to have one so cold air from the outside doesn’t come in through the fireplace and vise versa with the warm air from your home. A top sealing damper doubles as a cap and damper. It is installed at the top of your chimney and has a chain that runs through the flue which allows you to open and close the damper. The firebox is obviously the place where you have your fires. It is made up of 3 brick walls and contains the heat of the fire and guides the products of combustion up to the smoke chamber. This is the area most people think of when they think of the word fireplace. Your chimney is a system. Each part of the system has a set purpose and they all work together to ensure combustion gases and heat escape your home safely and efficiently. Having annual inspections and/or sweeps of your wood-burning fireplace helps monitor your system and gives you peace of mind knowing that everything is in proper working condition.